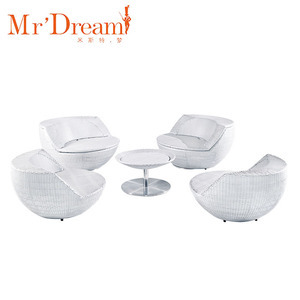 Blue color chair with same color glide and cushion,durable stainless steel material,trendy shape,used frequrently in clubs. The range of classic colours in the collection ensures a match from the modestly traditional to the most modern of homes. Non-fading colours ensure the furniture stays as new even in harsh outdoor conditions without any need for post production treatment. In fact, our delivery time can be shortened to less than one week in some stock products. Please contact with our sales department and indicate the model numbers you are interested in. Q: What is your lead time after placing the order9 A: Please contact us with your request, and normally it takes 30-45 days after confirmed order. 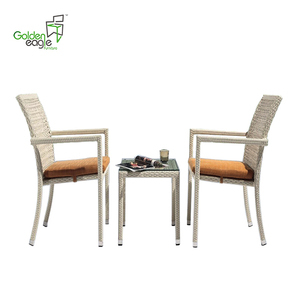 BZ-SF035A Product Size Table:Dia. 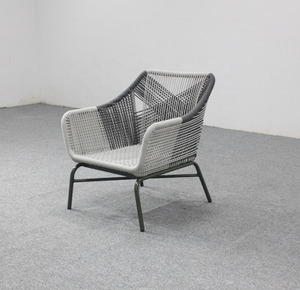 50*H42cm Chair: Dia. 70*H67cm Materials Alum. 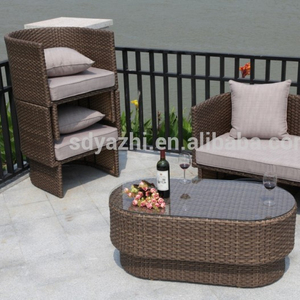 2 YRS Mengcheng Hengxin Outdoor Co., Ltd.
4 YRS Bazhou City Zhenguo Leisure Furniture Co., Ltd.
Alibaba.com offers 944 stackable sofa products. 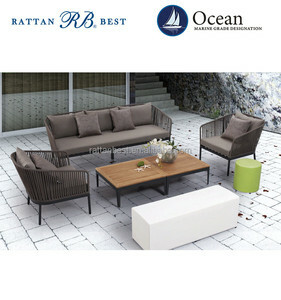 About 28% of these are rattan / wicker sofas, 15% are garden sets, and 11% are rattan / wicker furniture sets. A wide variety of stackable sofa options are available to you, such as rattan / wicker, metal, and fabric. You can also choose from no, yes. As well as from free samples, paid samples. 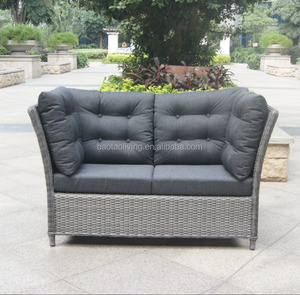 There are 944 stackable sofa suppliers, mainly located in Asia. The top supplying country is China (Mainland), which supply 100% of stackable sofa respectively. Stackable sofa products are most popular in Western Europe, North America, and Northern Europe. You can ensure product safety by selecting from certified suppliers, including 138 with BSCI, 76 with ISO9001, and 63 with Other certification.